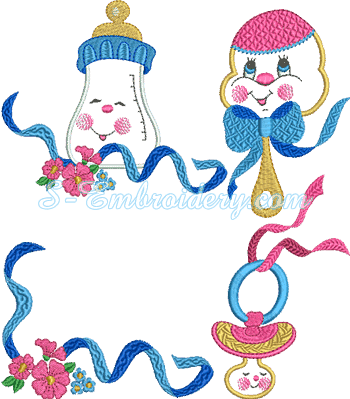 A nice set of 4 baby machine embroidery designs. All designs are available in 2 sizes. 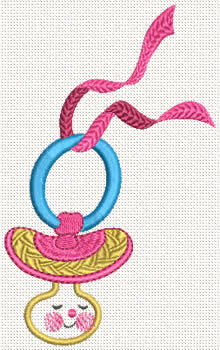 The smaller sized designs will fit in a 4 x 4 hoop. 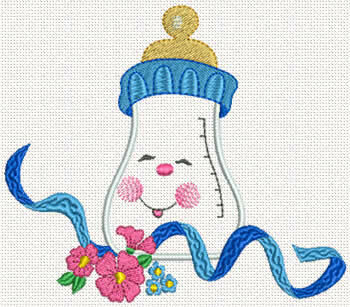 A sweet baby bottle embroidery. 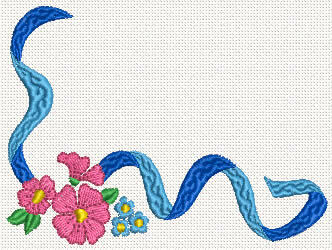 A nice baby pacifier embroidery. 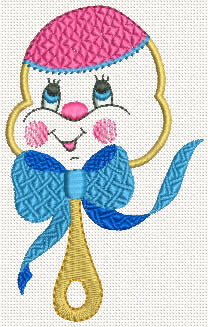 A cute baby rattle embroidery.